Expert Review of Passover by Design by Susie Fishbein, one of our picks of the top Jewish books for kids! 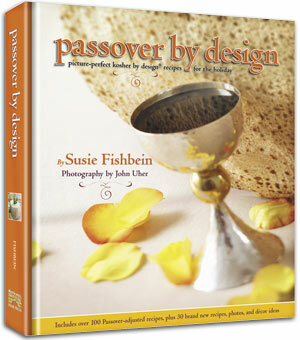 In this fifth cookbook in the Kosher by Design series, Susie Fishbein makes Passover preparations elegantly simple. Featuring a blend of Passover-adjusted Kosher by Design favorites, with over thirty brand-new recipes and full-color photos, this is one cookbook you'll love to use throughout the holiday.